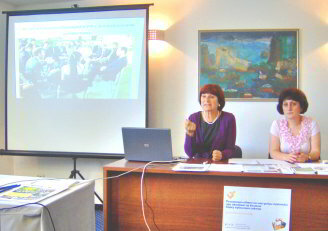 Several Bulgarian NGOs with experience in monitoring and influencing the public sector were involved in the preparation of the national meeting on 24–25 June 2011 which was attended by two Russian activists: Tatyana Lysenko of EWNC, Maykop and Tatyana Tribrat of Aqua, Novorossiysk. The exchange of information and the comparison of experience were very useful to both sides. 28 NGO representatives and 3 media were involved in the meeting, providing review of best practices, cross-border projects, previous experience in campaigning, protocols of information and decision making while campaigning etc. The experience and background of the partners from Russia was object of interest and various questions. The best practices outlined were associated with ICZM, influence on administrations on issues of planning, environmental protection, introduction of best agricultural practices, informal and non-formal education, monitoring of the legal system, improvement of the access to information on public issues etc. The draft of the communication and support procedure for the project was elaborated and approved by the meeting. Tatyana Tribrat gave an account of the very recent meeting of environmental activists with Russian president Medvedev which she attended personally. The meeting in Constanta, Romania gathered representatives from NGOs with different background in the social, economic and environmental field. The main speaker was Adrian Moraru from the Public Policies Institute, an NGO with extensive experience in public participation and access to public information. The main subject discussed was Laws 544/2001 and 52/2002 that provide for the right of every citizen to be informed about the public bodies and to participate in public decision making. Mare Nostrum reviewed its experience regarding local administration and the process of public participation. The Public Policies Institute presented its evaluation upon the national institutions and other local administration experience in the same field. The national meeting in Georgia was held on 14–15 May 2011 in Batumi, Ajara Republic. The main topics of the seminar were: Black Sea Regional Strategic Action Plan in Georgia, environmental education and waste management in Adjara, Black Sea sciences and recreation water quality, strengthening of regional cooperation, development of good governance and strengthening cooperation between government and civic organisations for protection of the Black Sea. Lecturers and speakers were experts from the NGO sector and the environmental ministry as well as from the local government. One interesting fact was marked at the meeting. During the meeting a representative of Khulo municipality and scientists verbally agreed to cooperate within the frame of ongoing DRR project. Namely, the scientist offered to plant quickly growing fruit-trees in the zone of possible landslide. This offer was appreciated by the municipality and it decided to allocate relevant amount of money from the local budget for the next quarter. The national meeting in Russia was held on the Azov Sea coast, in Azovskoye Vzmorya holiday home on the Pavlo-Ochakovska Spit on 7–8 May 2011. 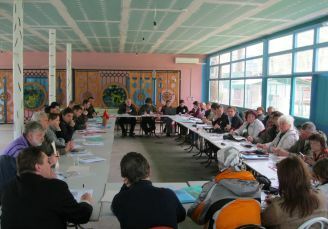 The event entitled ‘Successful practices of public influence in the sphere of solution of environmental problems of the Black and the Azov Sea’ was organised by the Environmental Watch on North Caucasus (EWNC) in cooperation with a large number of public organisations and citizen groups from the South of Russia. About 50 civil society activists discussed hot issues and successful practices of influencing administrations. Andrey Rudomakha and Evgenii Vitishko of EWNC described their experience in conducting the pressure campaign against large scale construction of holiday facilities and infrastructure in the Utrish protected area, and the public campaign of the citizens of Tuapse rallying support for the defense of their environmental rights. Yurii Golubev of the ‘Protection of the Priazovie Environment’ Public Fund gave an account of the successful campaign against the construction of a terminal for transshipment of methanol in Azov. The practices described at the seminar were primarily pressure campaigns against large construction and industrial projects, and efforts to influence administrations by addressing top level officials and agencies on national and international level. The meeting adopted and sent an official address to the president of Russia, to the premier of the country and to the chairmen of the two chambers of the Federal Assembly. The address was entitled ‘About the critical environmental situation with the preservation of the state of the environment in the Azov and the Black Sea Region of Russia’ and demanded an answer on many hot public issues. The top officials were asked why they continued to lobby for the realisation of those projects which went against the public interest and violated the constitutional right of the citizens of the country presenting a real threat to the environment and human health. 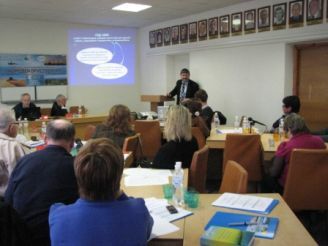 On 15 April in Odessa, at the Institute of market problems and economic and ecological research of NAS of Ukraine, the seminar ‘Actualization of Nature Management Best Practices in the Black Sea Region’ was held. It was organized by the Black Sea Branch of Ukrainian Ecological Academy of Sciences (Odessa, Ukraine). The event brought together leading experts in the field of marine nature management: scientists, public figures, representatives of the authorities from Kiev, Nikolaev, Odessa, Simferopol, Sevastopol, Feodosia and cities of the Ukrainian Danube Region. The main topics discussed were theoretical aspects of implementing of best practices in marine management, including the issue of economic management of the marine environment quality, environmental certification, marine environmental management and conservation and environmental education in the context of management of the Black Sea resources. The participants discussed best practices employed to influence the performance of the public sector toward greater transparency, efficiency and accountability. 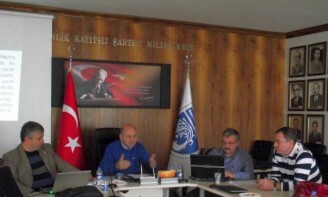 The partner NGO from Turkey - KADOS, held the national project meeting in Amasra on 23 April 2011. The event brought together activists of the Bartin Environmental Platform opposing the construction of a thermal power plant on the western Black Sea coast on the grounds of environment and human health concerns. 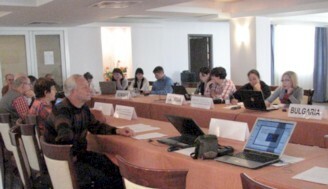 The project partners held an expert meeting ‘Best Practices for Good Governance: towards Sustainability in the Black Sea Region’ in November 2010 in Varna, Bulgaria. The meeting formulated issues and policy areas which present substantial challenges to good governance for civil societiy and governments. NGO experts gave accounts of good practices involving local communities in improving transparency and accountability of public authorities actions. The event was attended by representatives of NGOs and activists of the third sector from Bulgaria, Georgia, Romania, Turkey and Ukraine. 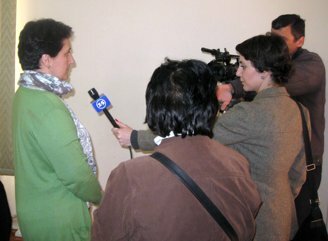 Experts and associates of the Black Sea NGO Network, as well as media representatives took an active part in the event.